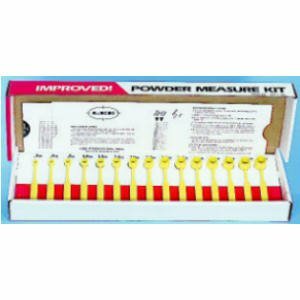 The Lee Precision powder measure Dipper kit includes 15 graduated powder dippers from .3cc to 4.3cc. The slide card included has a powder dispensing chart. Dipper data revised April of 2012. The Lee Precision powder measure kit is made in the USA.